I’ve been fortunate enough to always have some healthy measure of peculiarity in my life. (Not many people can say that they lived on a sailboat until the age of five, nor had the experience of being completely homeschooled up until college.) I am especially grateful that throughout my childhood, my father’s job provided me with access to the full Adobe Creative suite, setting me on my current path today. I’m in love with deconstructing the subtle techniques used by accomplished films and designs to shape our perception of them. I ask myself “how do I plan to base my process on solid foundations?” and hope to never stop learning new things. This informational poster overviews common pitfalls that lead foster children to end up homeless, as well as possible solutions. I present the info as a hybrid of a flowchart and poster with the goal of telling the narrative empathetically, but at the same time with a focus on letting the data and facts tell the story rather than the way it's presented. The research began focused on how youth homelessness often led into sexual trafficking. 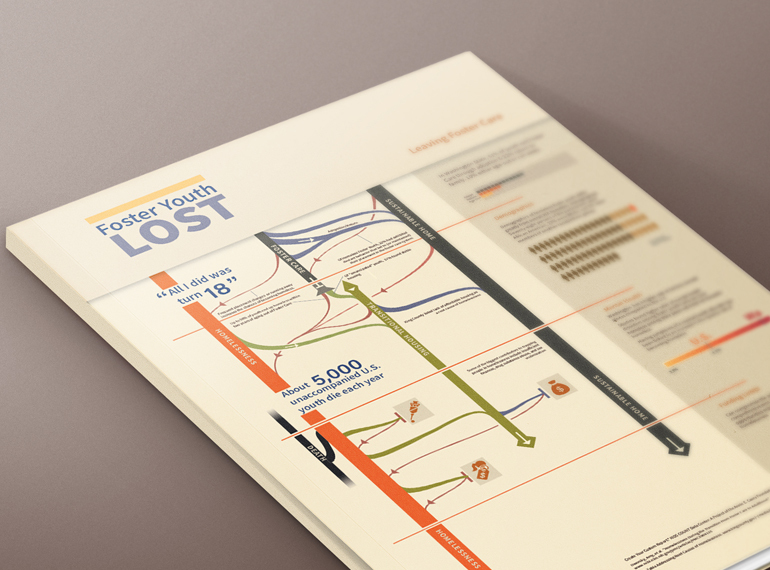 By the end of the process I had ended up so interested in the process of how Foster children ended up homeless that I centered my infographic entirely on. Compel Conference is a fictional UX/UI venue focused on inspiring professionals and equipping designers with insight as to what makes them actually valuable and sought after as an asset in a business. I was tasked to create a motion graphic reel that could be played between sessions. A key idea of this conference is that professionals from multiple levels in the design process should be able to attend the exhibit and benefit from the sessions. I attempted to reflect that by contrasting very swiss style layouts with sketchy, hand drawn elements over the top. This app layout was completely created from scratch using Adobe Illustrator, with motion mockups in AE. The app is a power monitoring/smart house interface. 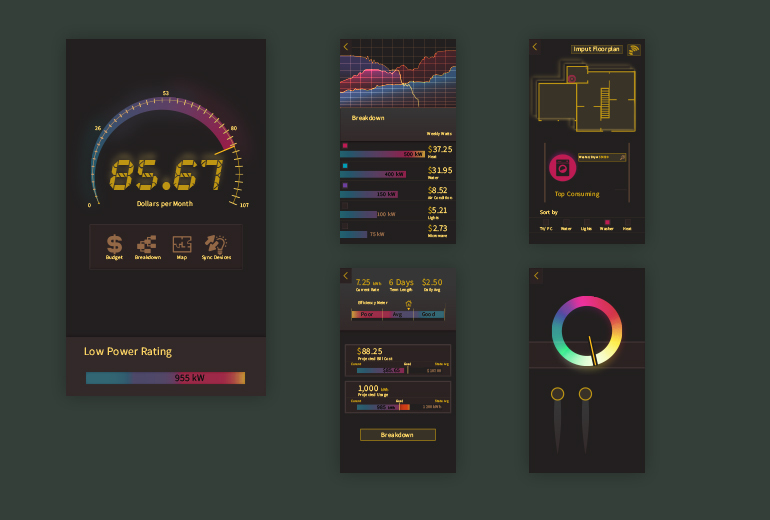 To emphasize the focus on power, a luminescent yellow highlight was chosen, and the rest of the color choices revolve around this idea, resulting in a “glowing” interface set against a matt grey backdrop.